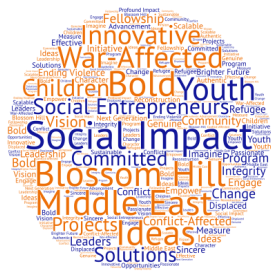 This entry was posted in Midd Blogosphere and tagged Fellowships, middle east, Social Entrepreneurship, Social Impact, Uncategorized on January 29, 2018 by Tracy Himmel Isham. This entry was posted in Midd Blogosphere and tagged Career Exploration, Global & Public Health, international, Networking, Social Entrepreneurship, Social Impact on November 27, 2017 by Tracy Himmel Isham. This entry was posted in Midd Blogosphere and tagged international, Social Entrepreneurship, Social Impact, winter term on October 9, 2017 by Tracy Himmel Isham. This entry was posted in Midd Blogosphere and tagged Career Advice, Corporate Social Responsibility, Non-profit Opportunities, Social Entrepreneurship, Volunteer, Week of 04.25.16 on April 27, 2016 by Tracy Himmel Isham. This entry was posted in Midd Blogosphere and tagged Career Advice, Social Entrepreneurship, Week of 01.25.16 on January 25, 2016 by Tracy Himmel Isham.